Hurricane Odile which is become stronger in the Pacific has started forcing at least one cruise line to alter ship itineraries. Disney Cruise Lines has changed Disney Wonders’s 14-night cruise from San Diego. The cruise ship is to miss the ports of Cabo San Lucas which was supposed to call on Sunday September 13 and Puerto Vallarta, Mexico on Monday, September 14. Instead Disney Wonder will have two days at sea to avoid Hurricane Odile. The storm has recently become a Hurricane and according to NOAA which operates the National Hurricane Center it has maximum sustained winds of 85 mph. 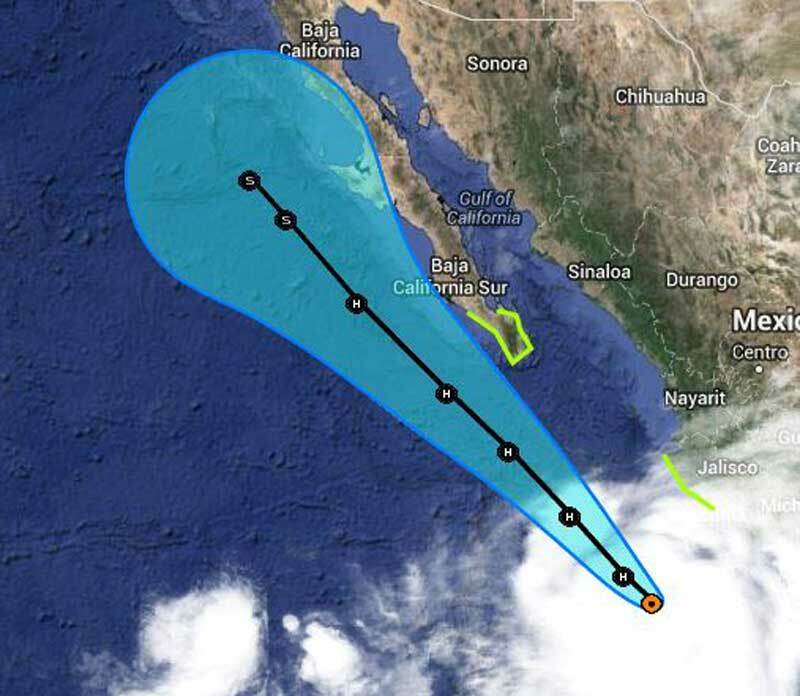 Odile is moving north-west along the Mexican west coast at 5 mph. At the moment the storm is approaching the southern part of Baja California and as a result could cause ocean swells on the coast along with lots of rainfall. The Disney Wonder collected passengers from San Diego for a Panama Canal cruise which also kicks off the cruise season from the western US port. San Diego is making a come with more cruise lines to begin sailing from the port but Hurricane Odile is not helping! No other cruise lines have reported any cruise ship changes but Cruise Hive will update this report if there are any changes.